Whether used as a professional rental machine or for moderately heavy-duty construction sites, the monoboom convinces with its excellent visibility. 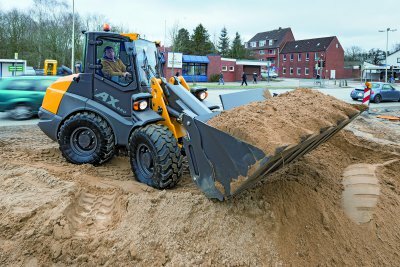 The brand-compatible quick-coupler with the standard electro-hydraulic lock provides a high safety standard. 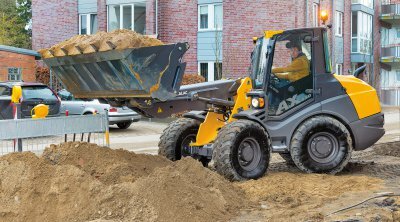 The spacious operator’s cab equipped with user-friendly controls is another key feature of the AX series. The intelligent engine and traction drive concept of the AX series, a central multifunction display, the Mecalac MDrive function and the evaluation of machine data via the Mecadiag diagnostic system noticeably facilitate daily work.